Explore our wide selection of Vinyl Window lines, for both replacement windows and new construction. Contact us today to learn more. There are a lot of window and door materials to choose from, such as vinyl, aluminum, and wood. 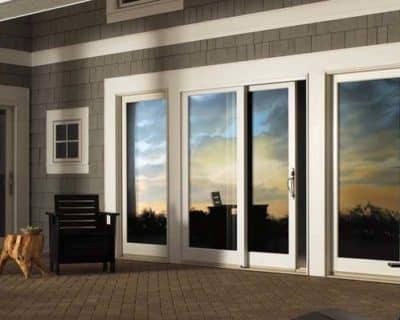 When it comes to windows and doors, vinyl is a superior, all-around excellent choice. Unlike wood, vinyl windows and doors will never rot or require endless repainting. Vinyl windows and doors are made primarily from polyvinyl chloride (PVC). This material has many advantages, including being virtually maintenance-free. It can’t be painted, but is available in white and various other neutral colors that complement many house colors. Because the color goes all the way through the material, scratches and dings are nearly impossible to see. Our vinyl windows feature heat-welded joints, look for vinyl window frames with heat-welded joints — they’re stiffer than mechanically joined vinyl frames and thus provide better resistance to temperature stresses.